Ukrainian police move on transgender rights activists after their rally in a Kiev park was disrupted by far-right radicals on Nov. 18. Activists for transgender rights were forced to disband a demonstration in Kiev after counter-demonstrators assaulted several protesters and attacked a Canadian journalist trying to cover the event. 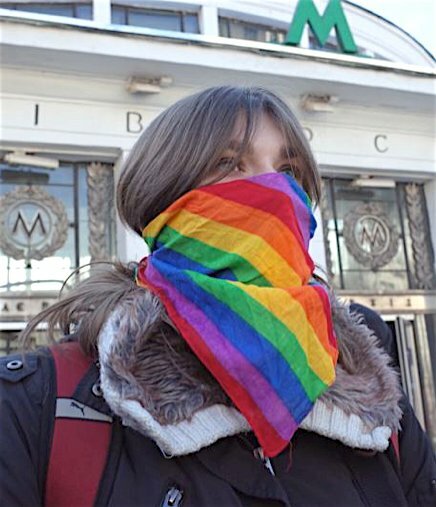 LGBT rights activists who moved their gathering place by two blocks to a location near Kiev's University subway station were followed by a small group of counter-demonstrators who confronted them by shouting slurs and setting off smoke bombs. "Ukraine today: National Police opted to protect the right for (peaceful) assembly of far-rights and traditionalist[s] instead of Trans*march event," Ruslana Panukhnyk, executive director of Kiev Pride and one of the organizers of the march, wrote on Facebook. In June, no serious incidents occurred when thousands of activists marched in Kiev to mark an annual celebration of gay and lesbian rights that had been marred by violence in the past.